This year, Trailnet received funding from Cycling Grants London to establish our ReSpoke bike exchange project at a new site in Becontree. 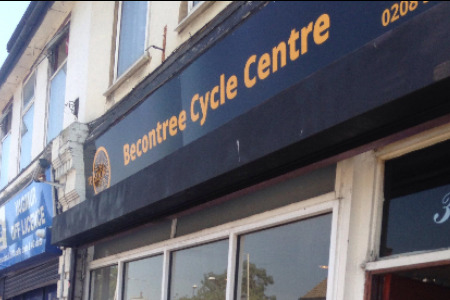 Using the funds, we set up Becontree Cycle Centre - a community focused cycle shop and resource that aims to make bike ownership affordable and overcome barriers to cycling the community face. It does this through providing low cost cycles, repairs and training for customers, to assist them in cycling more frequently and with safe equipment. We learned a lot through the process of setting up our premises. Other cycling projects might also be looking at setting up their own site, and hopefully our experience can help those looking to take this step. We found that the recipe for success when establishing a new site has three key ingredients: premises, people and partnerships. When the time is right to find premises of your own you’ll be looking for somewhere in the right place, of the right size and at the right price. Only a lucky few will be fortunate enough to find the perfect location but providing your new premises is affordable, has the space for you to operate and is accessible by your target participants, you can make it work. Remember to apply for rate relief: you may be eligible for business rate relief of up to 80% if your premises is used for charitable purposes. Match your premises to your project objectives: do you really need a town centre shopfront to attract participants; how will people get to you; how much space do you actually require to operate? Wherever you end up, it will be your staff and/or volunteers who will be interacting with your target audience, so having friendly people that are genuinely enthusiastic about cycling will be the most important factor in attracting and retaining participants. We originally relied solely on volunteers but since we started paying for a centre manager we have been able to establish regular opening hours. Now participants know when someone will be there and can rely on getting help at those times. Although you are a social enterprise, you are still providing a service and it’s important that participants – effectively your customers – feel that they are getting good value, even if you’re not charging anything! If you treat people well and make them feel valued and respected, they are more likely to spread the word and encourage others to come along. A final bit of advice: Don’t try to do it all yourselves. There is lots of help out there if you find the right partners. Build a good relationship with your local council as you’re providing a service that they should appreciate and support. Barking and Dagenham are very proactive when it comes to cycle promotion and I’m sure you’ll find that most councils have a vested interest in backing local cycle-related initiatives. Seek help from local organisations and groups with whom you may have shared objectives. ReSpoke works with the police, a local waste processing centre and a number of local youth community and youth groups; all of whom have been very supportive. Finally, try to stay positive and remember why you’re doing this. There will probably be times when it gets tough, but as I often tell people, it could be a lot worse – at the end of the day, you’re doing something that’s incredibly worthwhile: helping more people to share your love of cycling.